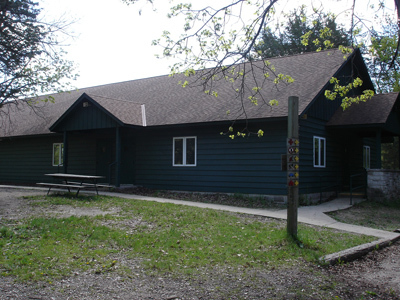 Indian Mound Scout Reservation features several options for units and non-Scouting groups to rent for ceremonies, parties, and other activities! The main room of the dining hall seats up to 250 people. The area can be divided into three zones. The L.S. Gratz Ship is located at the top of the hill just west of the waterfront. 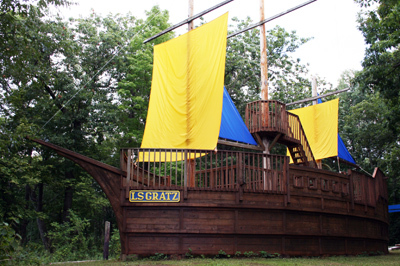 With views of Silver Lake, the ship is a great place for your Scouts to make up an adventure and have fun at camp! 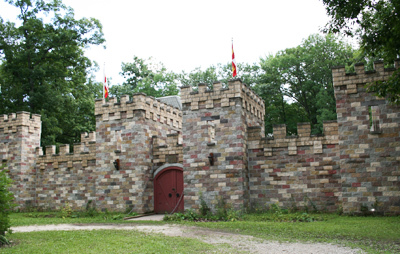 The castle is located on the southern end of camp, just past the shooting sports area. Feturing a large outdoor courtyard and a spacious indoor "keep", your activity has space to be held rain or shine! The castle is a great place to hold Medieval-themed ceremonies or meetings. It's also a cool place to have an outdoor movie night! 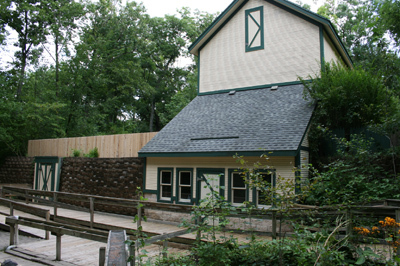 The mine is a two-story building in the northern part of camp near the waterfront. The upper part of the mine includes two multi-purpose rooms for activities. The lower area of the mine features a meeting/activity room and a second, larger space with a sand pit and access to the underground tunnels! 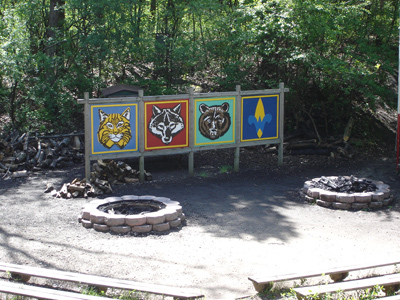 Located in close proximity to the dining hall, the fun bowl is the perfect place to hold a large campfire program, crossover ceremony or other large-format presentation! The craft lodge is a good place to hold den or pack meetings while at camp. It can also be used as a home-base while your Scouts are out and about in our other program areas! This is not a sleeping cabin.